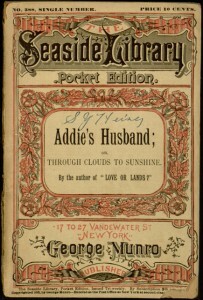 Our latest title to enter Distributed Proofreaders is Addie’s Husband; or, Through Clouds to Sunshine, a 19th century romance novel by British author Mrs. Gordon Smythies. 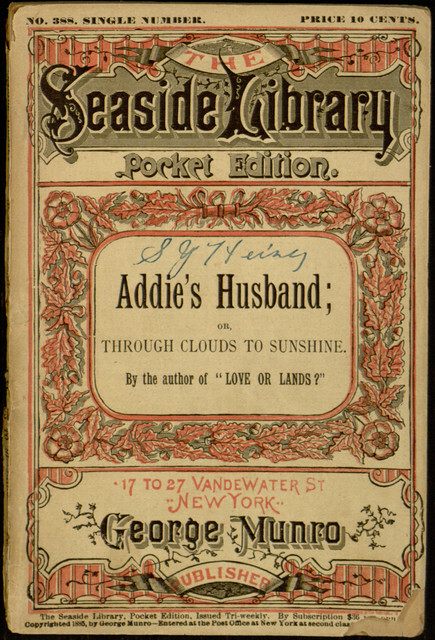 This particular edition of the novel was published as part of the extremely long-running Seaside Library, a series that included inexpensive reprints of a wide variety of works. To learn about how the proofreading process works, see this earlier post. To help with the work of producing a new electronic edition of the text, visit the project page.